The embargo has been lifted; we can now introduce Linn Selekt DSM, a whole new world of music streaming. Linn HQ has been shrouded in mystery for several weeks now. Retailers and distributors from across the globe have been shuttled in and out, each treated to the unveiling of (and listening to) new Selekt DSM, before being sworn to secrecy. Until today. So what is Selekt DSM? A simplified, configurable music streamer, designed to supplement and improve any existing music system. The base model includes digital streaming with analogue and digital inputs including HDMI and USB. From there, you can add a Katalyst DAC for increased performance and/or integrated amplification to create a one-box solution. – features new Space Optimisation technology for the best possible sound from your entire system configured just for you, no matter what speakers you have or where they’re placed. 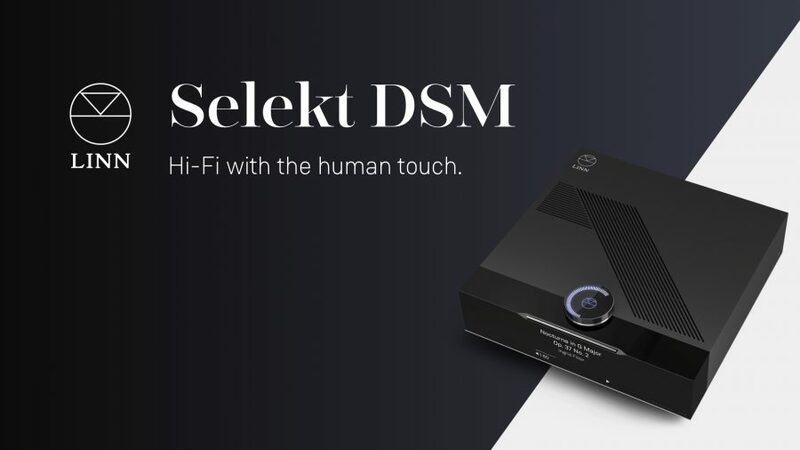 – includes a built-in pre-amplifier, enabling you to connect all your sources, including your turntable, to get better sound from them too… instantly. – boasts new, configurable front panel smart buttons: immediate access to your listening choice no matter the source. Favourite song, radio station, podcasts, your turntable… the choice is yours. – includes excellent MM/MC built-in phono stage. – with Exakt Links for connection to Linn Exaktbox or integrated speakers. Majik, Akurate and Klimax DSM products will remain, Selekt is the customisable addition. All DS only products will be discontinued. The Selekt trio will arrive at Adventures next week, email now to book a dem. We expect to be very busy!